Pan Am flight attendants model "The 747 Look"
Image from page 1 of Pan Am Clipper [newspaper], Vol. 29, No. 5, Mar. 3, 1969. 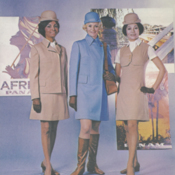 Caption reads: "Stewardesses Yvonne Scherrer and Eva Jorgensen, and Kalen Liu, a model who was formerly with Pan Am, sport the beige jumper, Chesterfield-style coat, and blue skirt with matching jacket of the new uniforms. See pages 6, 7, and 12." This item is part of object asm03410053310001001. To request this item, use this number to search for it in UM Libraries' Digital Collections. 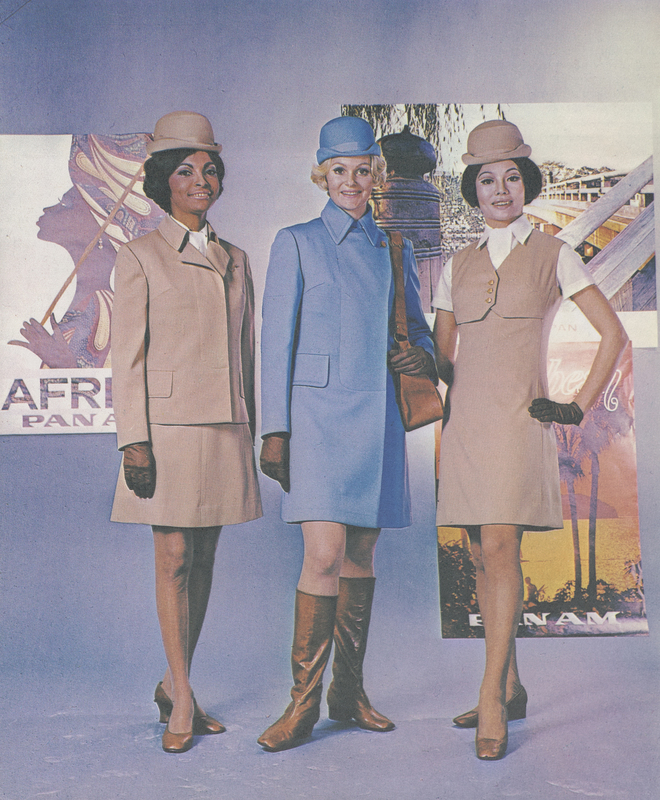 Pan American World Airways, Inc., “Pan Am flight attendants model "The 747 Look",” UM Libraries Digital Exhibits, accessed April 23, 2019, http://scholar.library.miami.edu/digital/items/show/1823.